Though we may not consider our clothing to be characteristic of defence, wearing a staple that makes you feel strong enough to withstand life's day-to-day challenges is in fact quite powerful. Sure, these wardrobe regulars may vary from woman to woman, but we’re here to share eight trusty items that have proven to be instant confidence-lifters. Scroll through to see if you agree with our list! It's practically impossible to not feel put together in a pair of well-fitted pants! The versatile style staple that gives you instant It-girl appeal. Having a pair of go-to black pumps in your wardrobe repertoire will change your life for the better. The ultimate layering piece to give you the extra boost of confidence in and out of the conference room. It's true: everyone looks "hotter" in sunglasses. 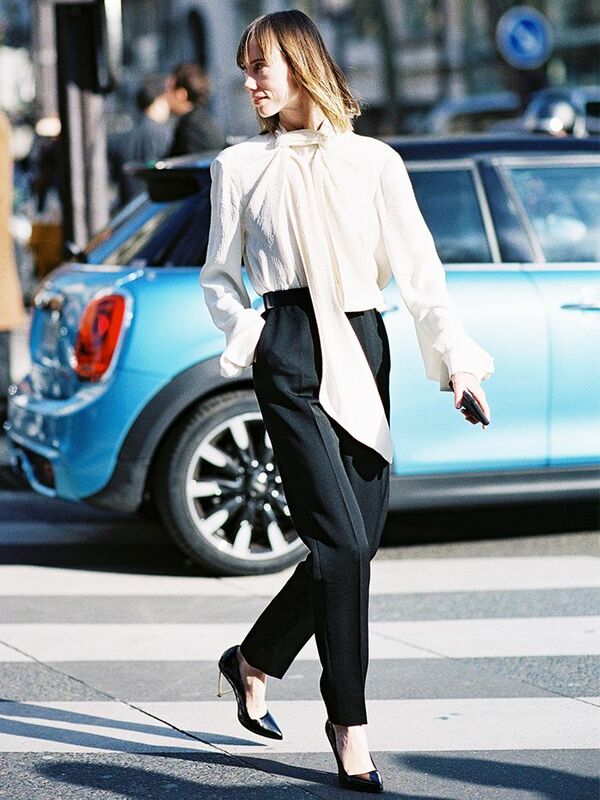 A fresh white shirt looks fantastic with everything from a full skirt to slouchy boyfriend jeans. This is the slimming skirt silhouette EVERY woman should own. Need more proof? Read this story. There's a reason the trench coat has stuck around since the turn of the 20th century. Do you agree with our list? Share which pieces you feel especially powerful in in the comments section below!